The Inventors of Internet had not thought that one day every personal computer would have access to web. They developed Internet Protocol (IPv4) about 30 years ago, which is assigned as identification to every web connected device. Now servers, desktops, mobile phones, smartphones, superphones, tablets etc. have increased so much that current IPv4 addresses have come to exhaust. Really, there remains no IP address in the IP addressbook to add more devices after a year. Indian government has created some roadmap to tackle the problem in India. If the existing devices weren't enough to end the IP addresses, in future we will also have IPTVs, Coolers, Cars, Bikes, Washing Machines, Doors, etc connected and controllable via Internet. We will discuss about the solution of it later in this post. Of course we are not going to prohibit these devices to access the internet. "When the IPv4 protocol was developed 30 years ago, it seemed to be a reasonable attempt at providing enough addresses, bearing in mind that at that point personal computers didn't really exist. The idea that mobile phones might want an IP address hadn't occurred to anybody because mobile phones hadn't been invented [and] the idea that airconditioners and refrigerators might want them was utterly ludicrous," said John Lindsay, carrier relations manager at internet service provider (ISP) Internode to The Sydney Morning Herald. 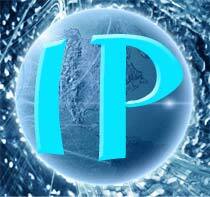 What Exactly is An IP Address? IP (Internet Protocol) is a numeric (decimal, hex) address of any device participating in internet communication through TCP/IP protocols in the computer network. Remember every device has an IP address, including on the device you are now reading. The Internet Service Provide (ISP) or Telecom Service Provider provides you either static or dynamic address in case of a dial-up connection like me. Also, every website has a unique or shared IP address which are associated with the URL (Universal Resource Locator) address. When you enter a web address in your webbrowser in English or other language if you are accessing IDN-ccTLDs, your web browser makes a query to DNS server, which responds with the IP of website then the browser brings the website in front of you. IPv4 has a string of 32 bit addresses. Which are divided into 4 parts each separated by a dot (.). IPv4 provides only 4.2 billion addresses, ie 255*255*255*255 = 4228250625. Lets take an example of 174.36.11.120 the IP address of my college BIT durg. Each separated decimal number is of 8 bit counting total sum of 32 bits. Not talking this in deep here. IPv6 is the new version of Internet Protocol also called Next Generation Internet Protocol (IPng). IPv6 consist of 128-bit web address which would never end. eg 2027:abf8:0:1234:012:567:1:1 all numbers are represented in Hexadecimal number system (Base-16, 1 to 9 a to f). This new version was actually developed in 1995 and standardized by RFC 2460 in 1998. IPv6 comes to rescue the world with it's never ending combination of addresses, so that every individual can own millions of devices each having distinct IP. IPv6 is backward compatible, highly secured and better performance for both low (eg wireless) and high performance networks (eg ATM). As I told earlier IPv6 was developed over a decade ago, Lot's of network devices like modems, network cards, wireless routers, wi-fi and many other already support IPv6 protocol. Make sure to not to buy anything below IPv6. Soon the existing grids will be converted into v6. However it's tough job for them. And if we don't do so, the consequences may be unimaginable. Indian Government is fast this time, A.Raja, MOC & IT released "National IPv6 Deployment Roadmap" recently. TEC (Telecom Commission) has conducted various workshops and seminars throughout the country during 2009-10 and based upon the inputs from them the “National IPv6 Deployment Roadmap” a policy document for transition from IPv4 to IPv6 in India was prepared for implementation by different Telecom Service providers. So no need to worry friends, scientists have already developed the solution years ago, just we need to adopt the new protocol and make best use of it. What do you say? I know you have something to say! I hope the issue gets resolves soon. Well explained :) looking for more. IPv6 sounds great. It looks like the Indian government is all over it. I can't wait until I start owning cars and appliances that have their own IP address. The possibilities are endless. I too am happy to see govt's progress in tech field. Get those devices soon..
Well what i got from this article is, there is no need to panic about Internet protocol. Thanks for sharing mate. A comment a day keeps the Doctor Away.